Jeep Certified. Navigation, Sunroof, Heated Leather Seats, 4x4, Panoramic Roof, Heated Rear Seat, Power Liftgate, ENGINE: 5.7L V8 MDS VVT, TRANSMISSION: 8-SPEED AUTOMATIC (8HP7... SINGLE DISC REMOTE CD PLAYER, Alloy Wheels CLICK NOW! 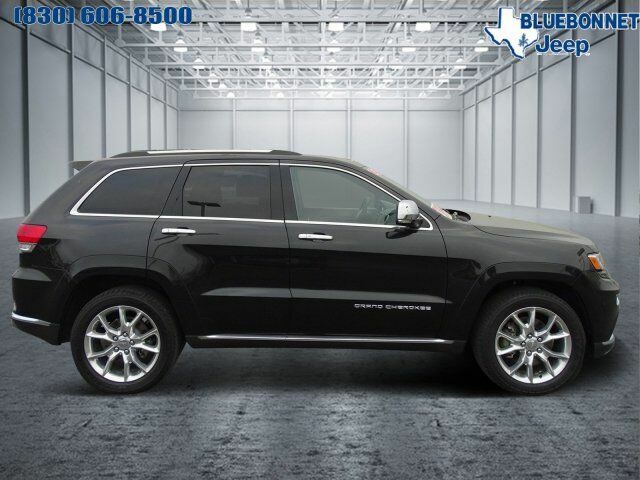 Leather Seats, Navigation, Sunroof, Panoramic Roof, 4x4, Power Liftgate, Heated Driver Seat, Heated Rear Seat, Cooled Driver Seat, Back-Up Camera, Premium Sound System, Satellite Radio, iPod/MP3 Input, Onboard Communications System, Trailer Hitch. Rear Spoiler, MP3 Player, Remote Trunk Release, Keyless Entry, Privacy Glass. ENGINE: 5.7L V8 MDS VVT Quadra-Drive II 4WD System, GVWR: 6,800 lbs, 230MM Rear Axle, 3.09 Rear Axle Ratio, Anti-Lock 4-Wheel Disc HD Brakes, Electronic Limited Slip Differential Rear Axle, SINGLE DISC REMOTE CD PLAYER, TRANSMISSION: 8-SPEED AUTOMATIC (8HP70) (DFK).